John has been certified in Adobe InDesign CS. John has returned to his teaching assignment at FIDM and continues to provide consulting services. John’s background includes stints as the owner of his own typesetting company, which serviced the Hollywood entertainment community. Moving from traditional typesetting to desktop publishing, John has been an acknowledged leader in electronic prepress. John served in the technology department of the GTS Companies, the educational publishing division of TechBooks, Inc., for over 10 years. He played a key role in creating PDF based CD-ROMs for the Academy of Motion ­Picture Arts and Sciences, Mosby, and McGraw-Hill, among others. As PDF became a format for Computer-to-Plate, John headed GTS’s team that developed PDF-based workflows, and continued to update and improve those systems, aligning the company’s campuses in York, PA; Boston, MA; Fairfax, VA; and New Delhi, India. 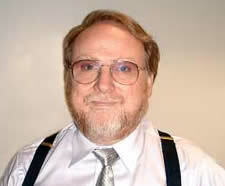 He has worked with publishers such as McGraw-Hill, Harcourt, Pearson, Thomson, and printers such as R.R. Donnelley and Quebecor on standards for 4-color print production. He has served on technical committees for several educational publishers on issues such as PDF and XML. John is the author of several articles, and a regular speaker on PDF issue in the publishing/printing industries at PDF Conference, GraphExpo and Seybold Seminars. In addition to consulting with printers and prepress professionals on workflows and automation techniques, we offer the following production services. If you don't see what you need, please contact us . “John was a resource for me, for our clients, and for many industry organizations. Not to be minimized is his keen awareness of costs and his ability to positively affect them. John has excellent communication skills. His professional demeanor translates to exceptional interpersonal skills with co-workers, clients, and management.